Some SPOILERS for Young Justice seasons 1 and 2. Why have you not watched yet? We have already discussed on The Fifth World during two previous Friday Panels the enjoyment we have taken in watching the DC Animated Universe over the years, particularly Batman: The Animated Series, Superman and Justice League Unlimited. They are both great series and enjoyable even all these years later. I particularly liked Justice League and JLU for the team dynamics, smart story arcs and good pacing. So, it should come as no surprise that when DC started Young Justice, a show centered on the sidekicks of the familiar face of the League I was instantly on board. Young Justice was a smart show that didn't talk down to you and respected that the characters were part of a legacy but were also building their own legends. 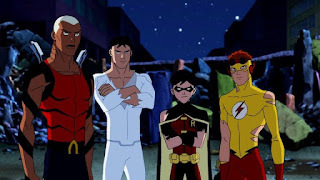 This was evident from the first episode where Aqualad, Robin and Kid Flash teamed up to investigate a mysterious fire and end up recruiting Superboy, Superman's clone to their nascent team which was just called The Team. From this first quartet, we are then introduced to Miss Martian and Artemis as additional team members and the first season became centered around a possible mole in The Team and the mystery of a cabal of villains called The Light. The characters experienced a time jump of five years beginning with season two and things changed. Just like the League expanded into Justice League Unlimited's huge roster, The Team grew with more members like Rocket and Zatanna. The original Robin grew up and became Nightwing, Superboy learned he couldn't grow up and broke up with Miss Martian over her use of her telepathic abilities, Zatanna joined The League, Kid Flash and Artemis retired from the crime fighting lifestyle to attend school and Aqualad left The Team to join his father, the villain Black Manta, in The Light. 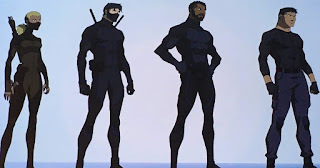 Add to this the storyline with Red Arrow and Arsenal and season two begins in a place of maturation and this was just what was happening with the original team. 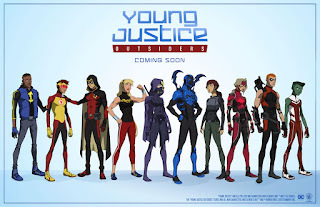 The Team added new and younger members like Batgirl, Tim Drake's Robin, Wonder Girl and Blue Beetle. There was also a not so subtle nod to the Super Friends later in the season, like they did in JLU with the Ultimen. 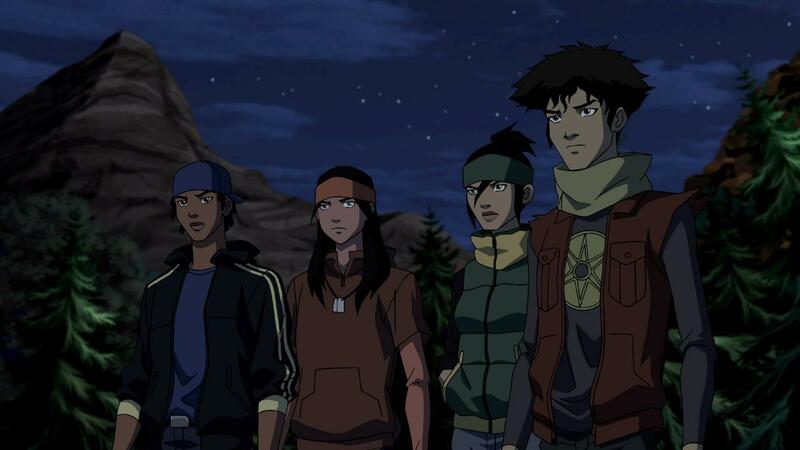 I KNOW Black Vulcan, Apache Chief, Samurai and El Dorado when I see them. The second season of Young Justice had a subtitle of Invasion and that was a very apt description. An alien race called The Reach were trying to manipulate humanity for their own goals, The Light's machinations from the first season with six mind controlled Justice League members on the planet Rimbor had to be answered for and fallout new alien worlds and technology were introduced. Ultimately, The Team showed their abilities and saved the day but the happy note was short lived because the last scene we see is Vandal Savage piloting the WarWorld to Apokolips to shake hands with Darkseid. This all happened from 2010 to 2013 and the fans of the show, like me, were adrift for years wondering if we would see how all of this would play out. Petitions were signed. Pleading was done. Would the cartoon gods answer our prayers? They did earlier this year. Young Justice will return with season three sometime next year. There will be 26 episodes and it is subtitled Outsiders. It will return on DC's upcoming streaming service alongside a live-action Titans series. I would rather it just come back on Cartoon Network or Netflix but beggars can't be choosers. There are questions that I hope we get some action and story movement with in this next season. Is the title of Outsiders related to the team that Batman created in the comic books of lower level superheroes going on more covert missions than the Justice League or is it totally unrelated? This team DOES look like a secret ninja squad. 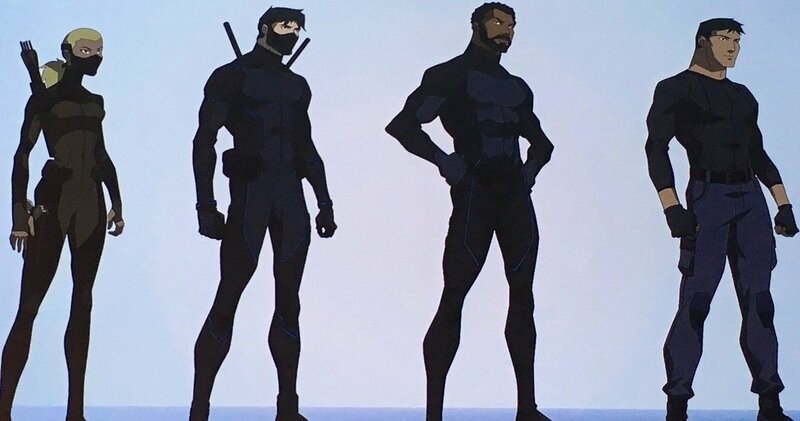 Also, that black who looks like the current version of Gucci Mane is not Aqualad and is in fact Jefferson Pierce aka Black Lightning. So, where is Kaldur'ahm this season? Is he now a full Justice League member? Has he returned to Poseidonis or Atlantis? Or is he doing his own covert thing again this season? And is Artemis back to being Artemis or is she still operating under the name of Tigress? Speaking of characters, we got a look at some returning, redesigned and two new characters with the new season announcement. But where are the other members of The Team from the second season? And is the original Roy Harper aka Arsenal still an angry young man in this season? 13 and Arrowette are here for this go-round. Finally, what role will Apokolips and the Fourth World play in the potential new storyline? We have already seen Boom Tubes, Mother Boxes and at least one Father Box introduced. The Forever People have appeared along with the New Genisphere which became Superboy's Super-Cycle. Desaad, G. Gordon Godfrey (Glorious Godfrey) and Darkseid have been shown to working alongside the criminals of Earth and supplying support and technology, particularly to Intergang in Metropolis. What does all this mean and what new threats will Apokolips bring to The Team? 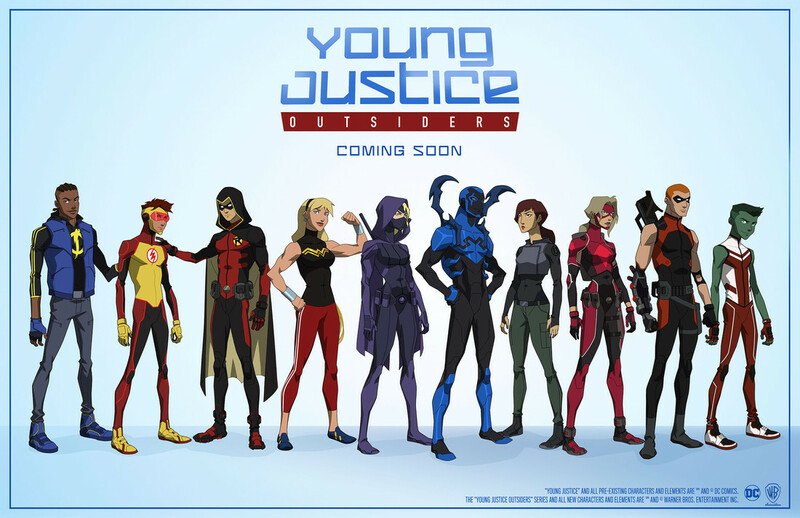 I'm hopeful that season three of Young Justice will live up to the previous seasons. The characters are well-rounded, the animation is great, the action is well choreographed and the storytelling is compelling. If they can remain at the levels of the prior episodes, then I'm sure we are in for a good time in 2018.